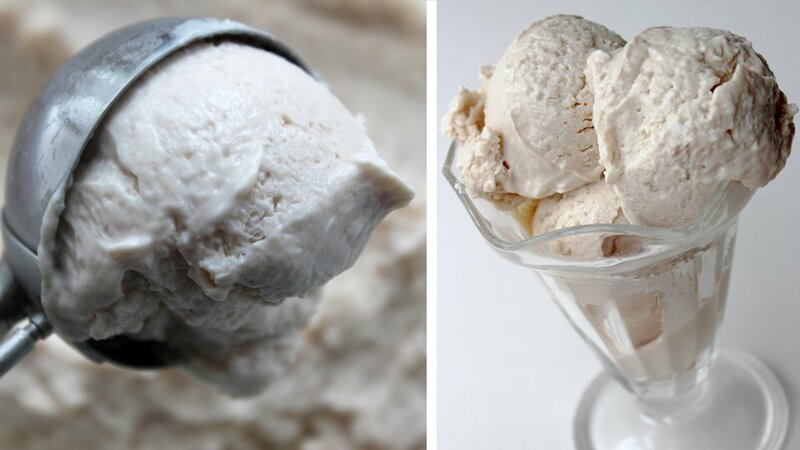 A craving for homemade ice cream doesn't mean you have to shell out hundreds on yet another kitchen appliance. Save cash and counter space with this two-ingredient recipe. In a large Tupperware container—ideally square shaped for the increased surface area—mix yogurt with the protein powder until you get a smooth mixture. Spread a thin layer of the mixture onto the Tupperware. The thinner the layer, the faster it will chill. After an hour, take it out, and give it a churn. Mix your protein-packed mixture with a spoon or, better yet, a fork to break up potential clumps. Stick it back in the freezer for 30 minutes. Complete Step 4 a few more times until the mixture reaches your preferred consistency. Remove the ice cream from the freezer, get a scooper out, and serve yourself a bowl of healthy ice cream! Notes: Consider melting a square or two of dark chocolate and pouring that on top of the ice cream. It'll congeal on impact, creating a delicious chocolate shell. You can make this recipe with casein too. If you do, be sure to use a bit over 1/4 cup of casein, since it will absorb a lot more of the moisture from the yogurt than the whey does. Try this with different flavors of whey, and consider adding some extra flavoring to the mixture. Cinnamon or vanilla pods would mesh well with this ice cream. To heighten the banana flavor, mush a ripe banana in with the yogurt and whey. You could use 0 percent Greek yogurt to make this too. However, bear in mind that 2 percent—or even full-fat—yogurt will yield a creamier batch.